Biomedics 55 monthly contact lenses feature 55% water content. They are equipped with UV filters and are made of hydrogel material with an aspheric rear surface. This package contains a 360 ml bottle of Gelone solution. 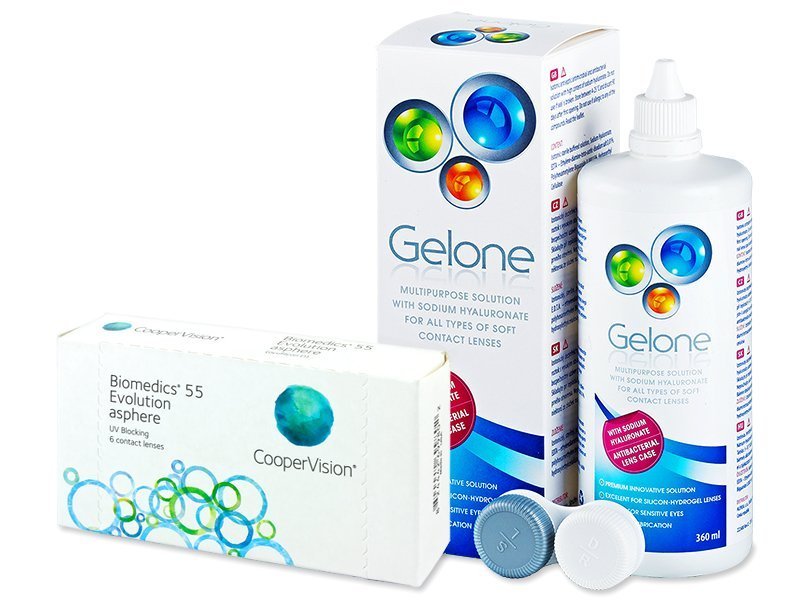 Biomedics 55 Evolution contact lenses by CooperVision are high-quality contact lenses with a monthly replacement schedule. The lenses contain 55% water, which helps keep vision crisp and comfortable all day long. Each package of Biomedics 55 Evolution contains six lenses.